In the interests of making “ugly” cakes, I’ve been trying to incorporate as much fruit and veg as I can into my baking. 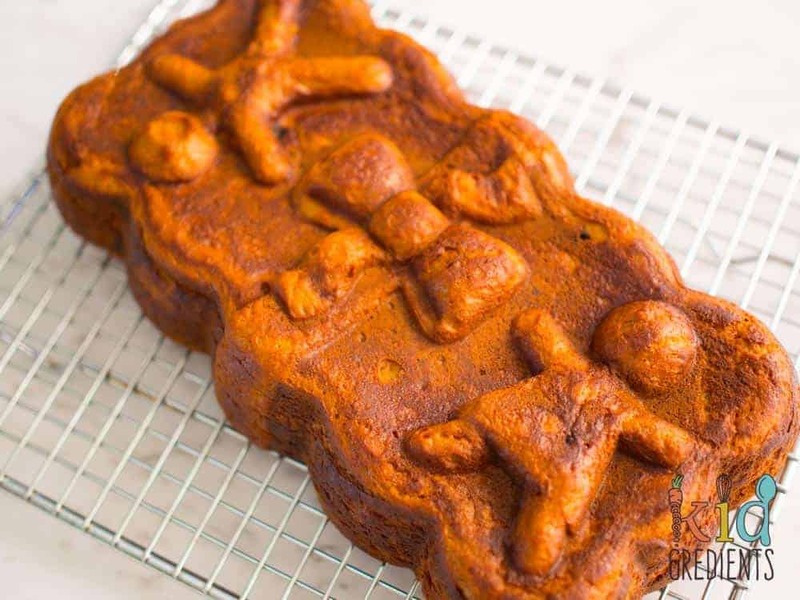 So I bring you…an ugly cake… sweet potato gingerbread. Why ugly cakes? So…preschool doesn’t like “cake” and I know that my little guy needs something in his lunchbox to keep him going, so effectively I’m making ugly cakes no-one would suspect were cakes to get around the system. You can’t blame me for trying. Personally, I love gingerbread and so do my kids. Mister Kidgredients, not so much, so he was unimpressed by this version. 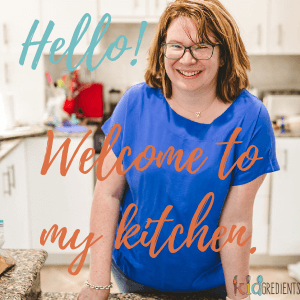 But, I’ve tested it on an independent person, my bloggy friend Fiona, because I totally believe in this cake…and she loved it…so I’m calling it a winner. It’s low in sugar too which makes it an immediate winner in our house. I think you could go so far as to cut out the coconut sugar altogether if that suits you better! Putting sweet potato in a cake isn’t a new thing, it is an awesome addition to many things such as the chocolate brownies I’m planning on perfecting this week. Now sweet potato- it makes cake really fudgy, like to the point where you might think it’s undercooked, but it isn’t. 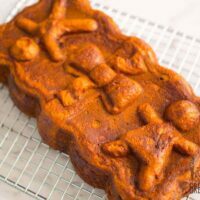 This sweet potato gingerbread takes 40 minutes at the most and you just want the skewer to come out clean. Don’t worry if the cake is really dense when you slice it, it really is cooked, I promise. If you’re a veggie smuggler, then we already know this is going to appeal, but if you aren’t this is one you really should try anyway. It’s not veggie smuggling if you tell them that it’s got veggies in it. this is the perfect flavour for autumn, so there is no better time to eat this than right now if you’re downunder! See how cute the top of the loaf is? Well, that’s purely from my extreme artistic cake carving skills. LOL. It’s a tin made like that from Nordicware…and I’d never used it before today. 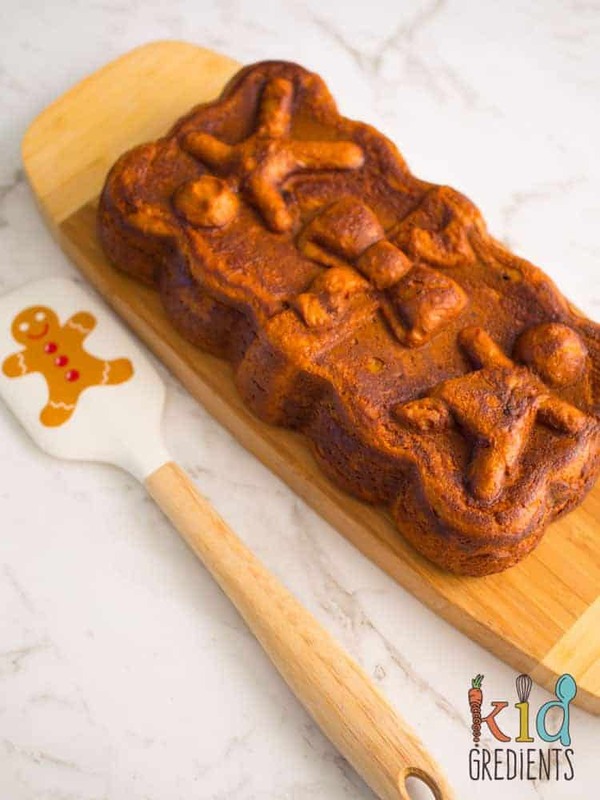 Just use a normal loaf pan! 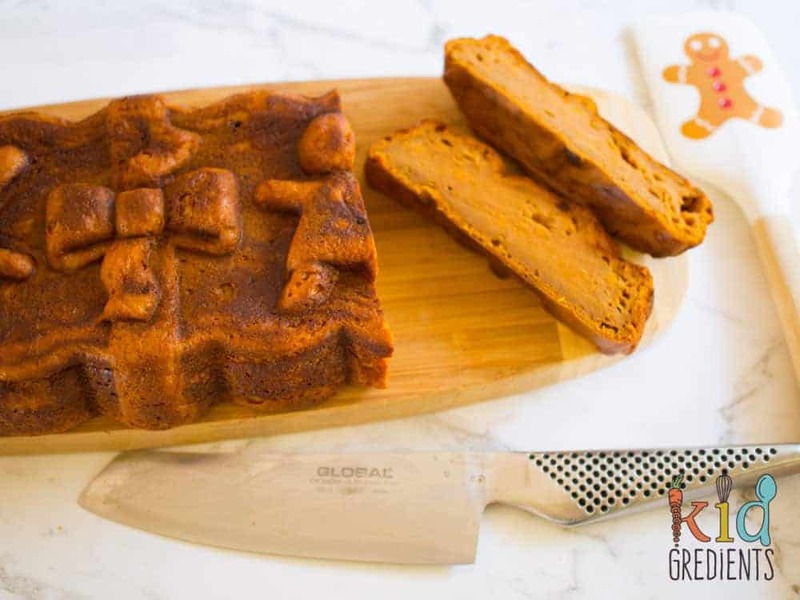 Delicious sweet potato gingerbread, perfect for the lunchbox, great for freezing, low sugar! Peel, dice and steam the sweet potato until super soft. Mash with a fork until super smooth. You could use a stick blender if you prefer. Melt the butter and maple syrup together and add to the sweet potato, then add all the other ingredients. Mix until well combined and lump free. Bake at 180 degrees celsius (355F) for 40 minutes cool on a wire rack. Slice and serve or freeze in slices. Please note all nutritional values are approximate. Omg – this is amazing! Like pumpkin pie! Thank you for the recipe. It’s super cute isn’t it? I bought it in Hawaii. Of all places! But I fell in love with how gorgeous it was, so glad to have finally put it to good use. You could totally make this!